An unlikely grouping of federal parliamentarians from across the political spectrum has condemned China’s unprecedented crackdown against Muslim minorities and urged a strong response from Australia and the international community. The politicians — Greens leader Richard Di Natale, Liberal senator Eric Abetz, and Centre Alliance senator Rex Patrick — also voiced concern at claims Uighurs living in Australia were being monitored and potentially intimidated by the Chinese government. 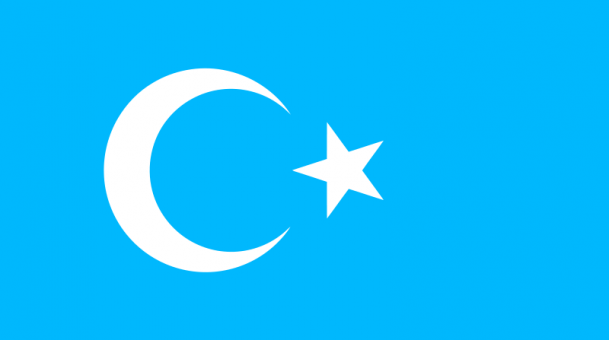 The Chinese Communist Party has escalated a campaign targeting Uighurs and other minorities in the north-western province of Xinjiang, with up to 1 million people said to be detained in a network of mass indoctrination camps aimed at suppressing religious activity and enforcing CCP practices. According to reports, detainees have been abused and tortured for failing to comply with the “re-education” program. People not in the camps are living in an increasingly advanced surveillance state with heavy restrictions on their freedoms. Senator Di Natale said China’s actions in Xinjiang were “an appalling abuse of human rights” that could not be ignored for diplomatic convenience. “Beijing must be willing to meet international standards of freedom of expression and religion. Instead, it’s attempting to stamp out ethnic minorities through martial law, arbitrary detention and the blocking of religious practice,” he told Fairfax Media. Senator Di Natale said “targeted sanctions should be considered to address the systematic oppression of the Uighurs and other Turkic minorities”. Senator Abetz, chair of the Senate’s foreign affairs, defence and trade committee, said “interning a million people on the basis of religion sort of defies every single concept of basic human rights”. “From all the evidence provided thus far, there might be some fuzziness about the actual numbers but I don’t think there’s any doubt as to what has occurred or is occurring,” he said. Senator Abetz called the Chinese government’s human rights record “completely unacceptable” and took a swipe at the United Nations and Muslim-majority countries for not being more forthright in scrutinising developments in Xinjiang. Senator Patrick, who is pushing for a wide-ranging Senate inquiry into relations with China, said the Xinjiang situation “should not be allowed to continue unaddressed” and suggested a multilateral response would be necessary. In a statement to a scheduled UN Human Rights Council review of China’s record last week, the Australian government expressed “alarm at numerous reports of detention of large numbers of ethnic Uighurs and other Muslim groups held incommunicado and often for long periods without being charged or tried”. The United States and other countries also criticised China’s actions. This week, Australia’s ambassador in China joined with 14 other western envoys in seeking a meeting with the CCP’s top official in Xinjiang over the alleged human rights abuses. 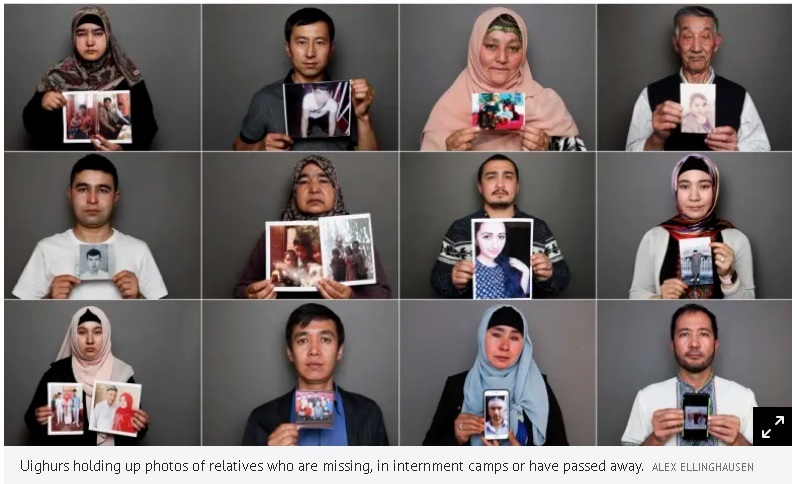 Since acknowledging the existence of the camps, China has strongly rejected any criticism, saying their actions are necessary to protect stability and prevent separatism and religious extremism. Fairfax Media has been told Chinese government officials have monitored and intimidated members of Australia’s Uighur community, including via direct contact in Australia and harassment of relatives in Xinjiang. A Uighur man living in Melbourne said a Chinese security agent had been contacting him seeking details about his life in Australia. “He thinks Australia is one of the countries where Uighur people are protesting continuously against the Chinese government so I think they want information about Uighurs in this country,” the man told Fairfax Media. Senator Patrick said the claim was disturbing and “it’s not acceptable in Australia for that sort of conduct to be occurring”. Fergus Hunter Fergus Hunter is a political reporter for Fairfax Media, based in Parliament House.